Low cost near field probe set for EMC/EMI troubleshooting. 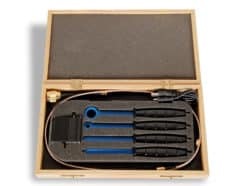 This handy near field probe set is useful primarily for troubleshooting radiated emissions failures at the circuit board level. 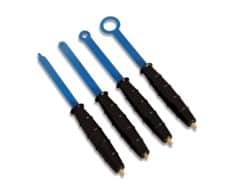 With 2x magnetic field (H) probes and 2x electric field (E) probes you can track down noise sources to individual PCB tracks, IC pins or any other features that are sources of electro-magnetic radiation. The various sizes allow you to balance sensitivity (locating very small signals) with resolution (isolating exactly which tracks, pins or features are creating the noise). Every set includes an SMA to SMB cable (0.75m). The probes are compatible with all spectrum analyzers. Depending on your analyzer input port, a connector converter may be required (e.g. SMB to N-type). The probes can also be used to test how susceptible your PCBs and cables are to radiated fields. So if your product has failed radiated immunity testing (61000-4-3) then you can use a signal generator connected to these probes to generate fields in the order of >10 V/m. 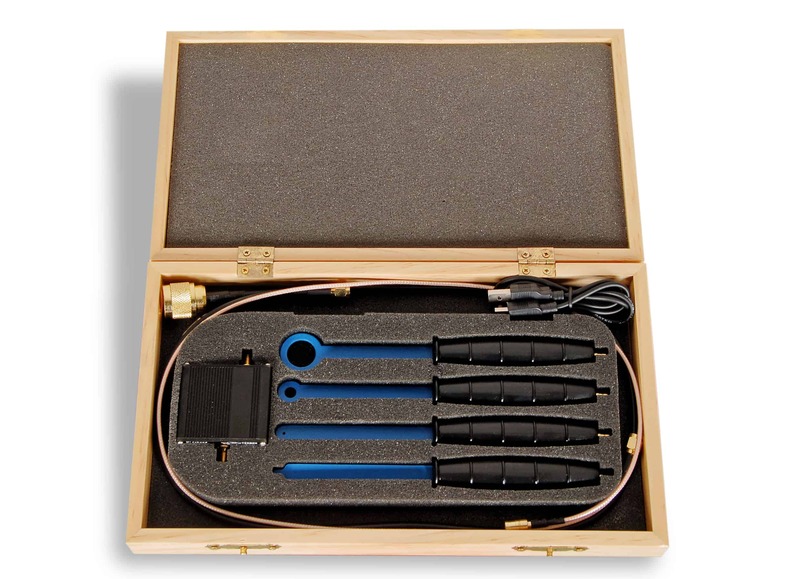 This set also comes complete with a 40 dB wideband RF amplifier to boost the measured signal feeding into your spectrum analyzer. This allows you to measure signals that may otherwise be below the noise floor of your analyzer. For radiated immunity testing, the wideband amplifier can also be useful for boosting a small signal output from a signal generator.